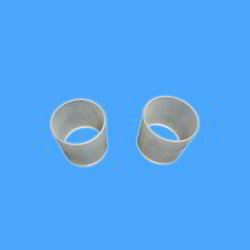 Our product range includes a wide range of fep raschig ring, pp raschig ring and pvdf raschig ring. Manufactured in strict compliance to the standards of the industry the offered range of FEP Raschig Ring has been in wide demand for mass transfer applications. We have incorporated the best quality material in the making of this range. Finding applications in chemical engineering process and in biological reactors, the offered range of rings is used to give support to bio films, gas absorption in devices and in columns as a packed bed for distillations. 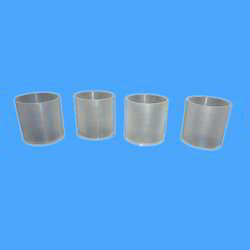 Perfectly capable of tackling temperature shocks, process upsets and heavy loadings along this ring also helps in separation applications due to its availability in various sizes and material. Manufactured from the best quality polypropylene, the offered range of PP Raschig Ring. The offered ring range is used in large numbers as a packed bed. It is used within columns for processes of distillation and chemical engineering. The large surface area within the volume of the column provides easy interaction between liquid and gas or vapor. 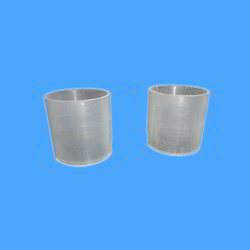 We put forth to our customers this comprehensive and qualitative range of best quality PVDF Raschig Ring. The offered range has been widely appreciated for its optimum features of tackling temperature shocks, process upsets and heavy loadings along with separation application due to its availability in various sizes and material. In chemical engineering process and in biological reactors this range is widely demanded for supporting bio films and gas absorption.